The prototype of the TRS-80 computer is shown to Charles Tandy, the CEO of the Tandy Corporation, owner of the Radio Shack chain of stores. He agrees to begin production based on this demonstration and the computer goes on sale in August. “TRS” stood for Tandy Radio Shack. 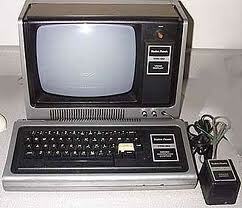 The relatively inexpensive TRS-80 helped to spur the acceptance of the personal computer in the home.